Hampton Creek,a San Francisco-based food startup best known for its egg-free mayonnaise spread and cookie dough, has garnered attention at every step of its recent development. Picture on the left is the company’s CEO, Josh Tetrick. The conspiracy was revealed after more than 600 pages of emails between AEB members and other industry key players were collected under the Freedom of Information Act (Foia). In short, the AEB exerted its influence to get Hampton Creek sued by Unilever (lawsuit since ceased), which makes Hellman’s mayonnaise, on the grounds Just Mayo shouldn’t be called mayo given it doesn’t contain eggs. 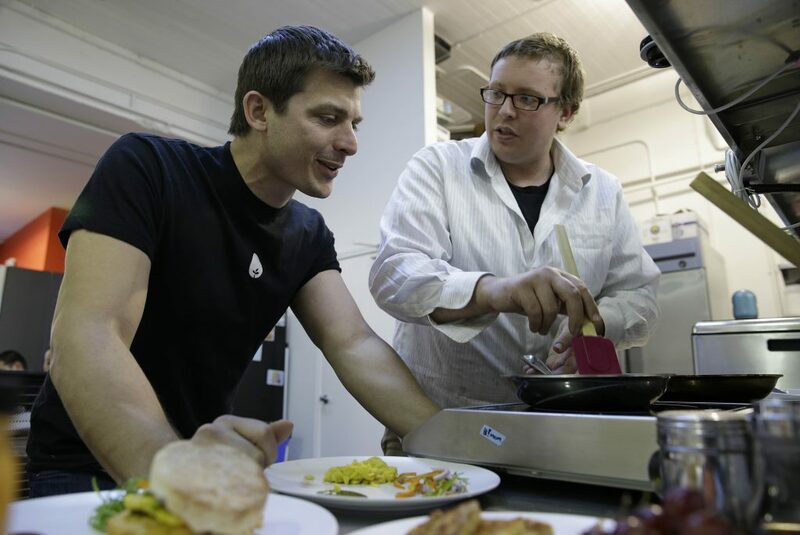 Although the lawsuit was dropped, the FDA – pressured by AEB – ordered Hampton Creek to change its name.The AEB also hired a PR firm to contact bloggers and “encourage their readers to make a conscious decision to choose real and sustainable foods, like eggs, on their path to a healthier lifestyle.” In some of the emails, there was even talk of ordering a ‘hit’ on the Hampton Creek founder. Josh Tetrick, the founder of Hampton Creek, says he was “shocked” when he was first handed the emails, but not entirely surprised. He says he won’t let himself be bullied and will fight back for the right to the Just Mayo label. I’m not sure if anything the AEB has done is illegal per se, but it’s definitely immoral to say the least. Having their tentacles stuck through all sorts of powerful places, some boards and companies think they’re untouchable. But when a competitor is seen as a risk, it has to be liquidated. This time, for the AEB at least, this could severely backfire. But apart from some people losing their heads, will something dramatic change? I don’t know, but we can all at least do our own part. Eggs are important (I eat eggs every couple of days), so there’s no chance in boycotting them (or you could try). You can, however, send a letter to your local producer or distributor and express your disdain.